We like to push the boundaries wherever we can in the pursuit of unique design. These clients offered us the perfect opportunity. 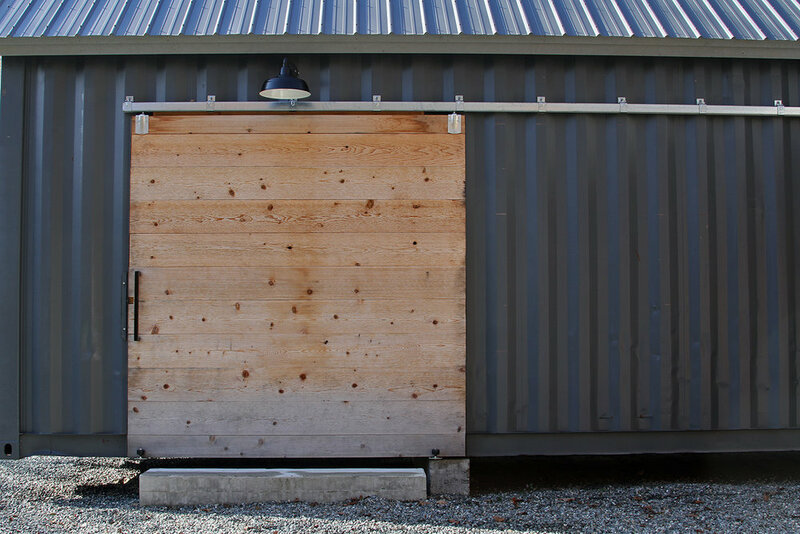 This barn, studio, and carport offers a very flexible space for storage needs, guest space, and a place to cover the car when inclement weather strikes. We used a 40' long "high cube" shipping container for one half of the structure. It was used for many trips across the pacific ocean before being used as a storage rental container. Its patina is a reminder of its past life, and its current from is the ultimate in repurposing. The second structure is a traditional wood framed structure with light insulation and thermal glass. It can be used in all seasons and is a great flex space. The car port is 20 feet long and 14 feet wide. It offers a great space to keep most any car out of the immediate weather. We wanted to give our client a structure that would push the boundaries of traditional design, while including elements of vernacular architecture. We really enjoy when a project like this comes together and we can truly create something one of a kind.